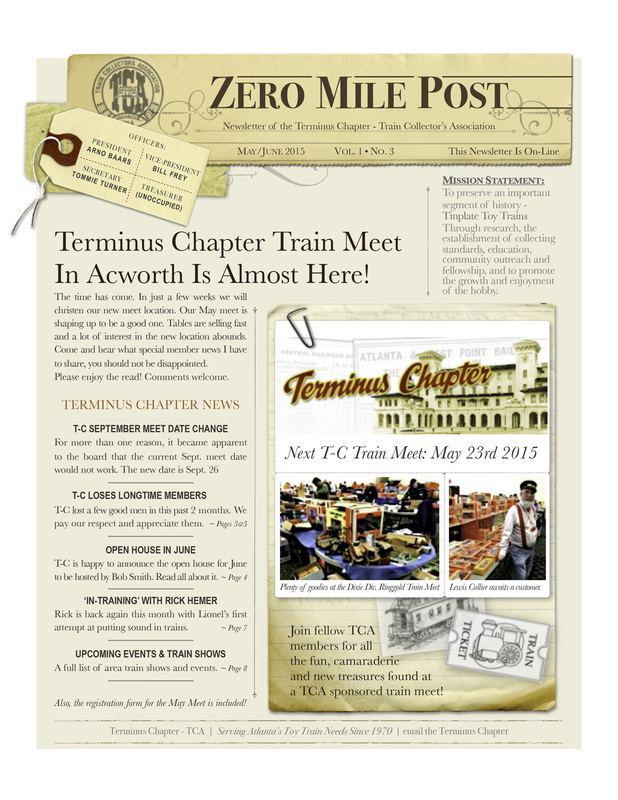 Terminus Chapter Train Meet In Acworth Is Almost Here! The time has come. In just a few weeks we will christen our new meet location. Our May meet is shaping up to be a good one. Tables are selling fast and a lot of interest in the new location abounds. Come and hear what special member news I have to share, you should not be disappointed. Please enjoy the read! Comments welcome.